Being color lovers, we've posted about colorful coats every year for the last five years. Some of those years were brutal. Black and grey everywhere. Who wants that? Winter is dreary enough. It looks like stores have finally gotten the hint, because I had trouble narrowing my list down to only sixteen. Sixteen! 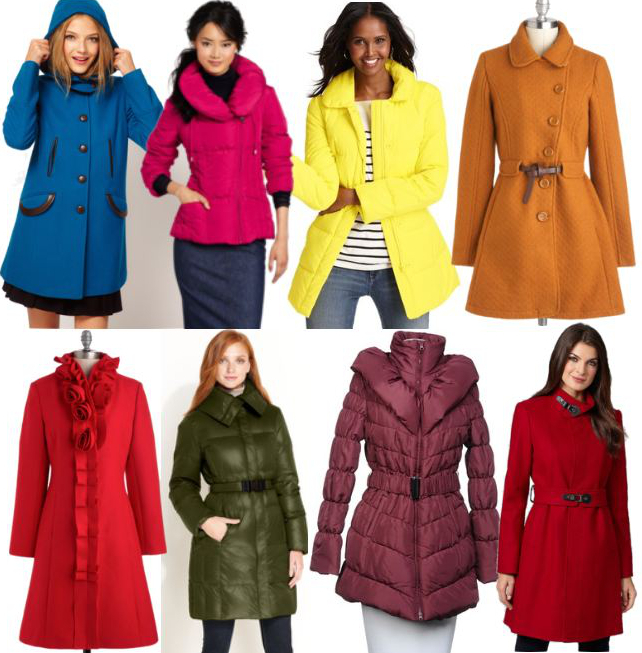 Make sure you've liked Fashion Me Fabulous on Facebook where we'll be posting sale coats all season.